The perfect pump is the one that helps you have a healthy breastfeeding experience. With all the brands and attachments on the market, how do you choose? Here is a breakdown of what’s out there, and what the label really means. 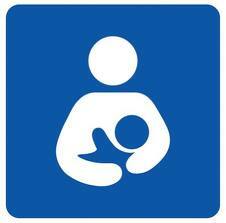 Manual breast pumps often pump one breast at a time using a squeeze or trigger device to create suction. The strength and speed of the suction is adjusted and regulated by the woman’s hand pressure on the pump device. Electric breast pumps use an electric motor to create suction. These motors may have battery or plug-in power options. Electric pumps come in single and double, meaning they may pump only one breast or both breasts at the same time. Most of the pumps other mothers will recommend are double electric pumps. They are commonly used by mothers who work outside the home or have extended separations from their nursing baby. Electric pumps have speed and suction adjustment options that work in a variety of ways. Some have dials. Others have manual rhythm settings. 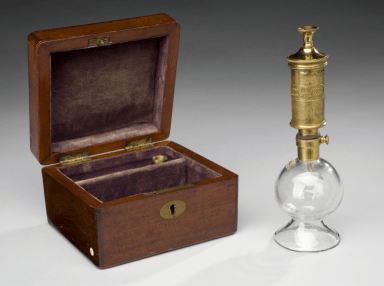 One of the first breast pumps pre-1900 made from glass and brass. Modern technology has come along way. Electric pumps use a motor to create suction. The motor system is either “open” or “closed.” An open system pump connects the pump flange to the motor directly with tubing. Air and fluid can be exchanged in the tubing. A closed system pump has a membrane between the pump flange and the tubing. Air and fluid cannot be exchanged in the pump tubing. All hospital grade pumps are closed system pumps. The benefit of a closed system pump is that the membrane protects milk from being contaminated by fluid or particulates from the motor or tubing. Closed system pumps are the only type of pump that can be approved for multiple users. Currently, only Hygeia makes a closed system pump that is FDA approved for multiple users AND is available commercially for purchase. Hospital grade closed system pumps are only available for rent. Many top manufacturers sells open system pumps. These pumps generally work very well, have strong motors, and come with many features that make pumping on the go easier. The only caution is that there is a possibility of milk back-flowing through the tubing and into the motor housing. There is no way to sanitize the motor. Mold may grow in the motor housing. The tubing, flanges, and bottles can all be sanitized. This is one reason it is not recommended to buy a pump secondhand or use a friend’s pump that is not FDA approved for multiple users. Pumping bras make hands-free pumping easier for working moms. The US does not have laws in place to enforce the International Code for Marketing Breast-milk Substitutes. Companies may or may not voluntarily comply. Some pump manufacturers comply while others do not. You can read the full Code here to get a better understanding of how the Code seeks to support maternal and infant health. Mothers “vote with their dollars” when they purchase a breast pump, so choosing a company that truly supports breastfeeding is important to many mothers. All nursing mothers benefit from learning and practicing hand expression of their milk. Hand expression is safe, sanitary, does not require electricity, and is completely free. A mother just needs a bowl or bottle to collect her milk. Mothers can learn different expression techniques from taking a breastfeeding class, working with an LC, another breastfeeding mother, and educational films. Mothers who use hand expression can collect milk for their babies as effectively or more so than mothers using a pump, when they have mastered the technique.